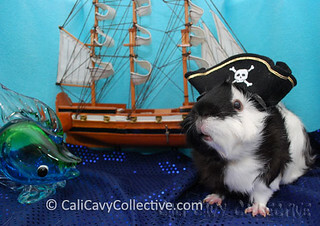 After being defeated by the valiant Captain Peaches, the sea monster sulkily floundered back to its master, the infamous swashbuckling scalawag guinea pig known as Revy the Pirate. Shamefaced, the sea monster humbly admitted the loss of Revy's precious pieces of eight during its escape from Captain Peaches. "How dare you!" 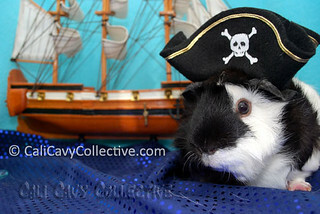 exclaimed the enraged piggy pirate. 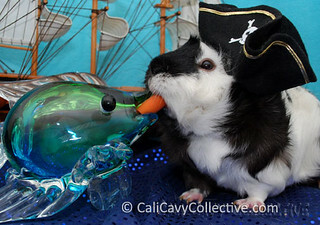 Infuriated at the careless treatment of her pirates booty, Revy demanded the sea monster's only carrot as punishment. 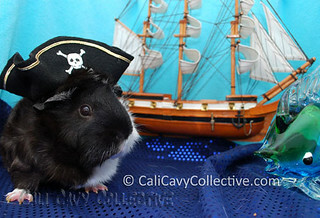 After savagely annihilating the lone carrot, Revy turns and sets her sights upon a familiar ship in the distance - Captain Peaches ship, the USS Lettuce.